I was walking tonight down the streets of Los Angeles and I felt something I haven’t felt in a while. The wind was blowing and it was dark and the air was crisp. I was crossing the street and I suddenly felt a little bit of a skip to my step. I felt myself smelling the coolness of the air and I started questioning what this feeling was. Then it came to me…I think its hope. I think its hope that there is still a future out there for me that I can be happy with. I think there is still joy to be had and I think I am on my way back to feeling it. I’ve always had this idea of heaven, that it was a place where you would feel no sadness, no grief, no disappointment. And I’ve wondered, if that is the case than it would have to follow that God doesn’t feel those things either. So, if God doesn’t feel sadness, what does he feel when he looks at the sorry situation that so many of his children are in. How does he feel when he sees a gunman shoot down children in a school in Connecticut. If he doesn’t feel disappointment what does he feel when he sees his children making poor choices. How does he feel when he sees us throw away the talents he gave us. If he doesn’t feel grief, what did he feel when he watched his son die on the cross for each of us. I was over thinking this today and I think I came up with an answer. I was thinking about the five stages of grief. Which I believe are inappropriately labeled. I think that they are not stages so much as a cycle. 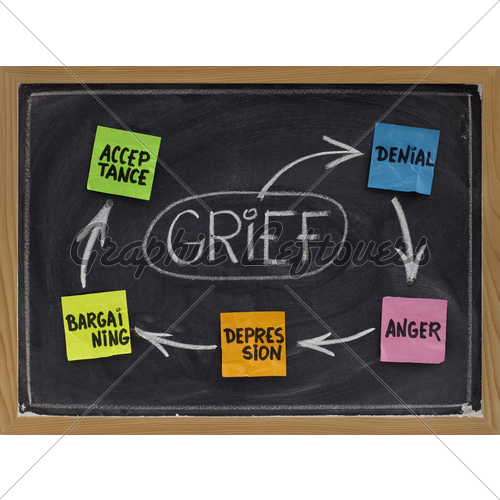 Everyone who experiences grief knows that you often experience each “stage” several times. Since Ryan and I broke up i have watched myself repeatedly go through these steps. The first is denial. This one is suddenly no longer a problem for me. Since he got married there is no way to convince myself that there is any hope for us anymore. Not that I really believed there was, but in moments of weakness I wondered. I imagined him coming back to me on bended knee telling me he had made the biggest mistake of his life. I had to stop there since I couldn’t see us actually getting back together but that’s beside the point. There is no way to hide my feelings behind the shock and helplessness that I felt. Its staring me right in the face. And it’s ok. Denial served its purpose, which was to help me pace my grief in a way that I could deal with it. The second stage is anger. This has been an interesting one for me. When Ryan and I first started getting serious we had a talk one day about how we handle difficult things. I told him as an example that if we ever broke up I would hate him and that hate would help me move on. He seemed upset by that and told me that he just couldn’t stand the thought of me hating him. He asked me to promise him that if we ever broke up I wouldn’t hate him. The odd thing is that in all of the times that I have cycled through the various stages I have pretty consistently skipped this one. I can’t be mad at him. I have felt a little frustration at isolated incidents or little things that he did or did not do. I have felt an intense sadness at times that he just couldn’t love me enough. But through it all I have never been angry with him. I have always wanted his happiness, remembered his soul the way I saw it in tender moments when he let me in to have a look and I just can’t feel anger towards him. The third stage is bargaining. This one has also stopped since he got married. I used to find myself thinking, “If I could just find the right thing to say to him to fix this…If I could just be in the right place at the right time…” somehow I was always searching for a way around the situation instead of through it. Until recently. His getting married had a lot to do with it but that wasn’t all. Even before he got engaged I found myself countering those things by other realities of how and way I don’t really want that to happen. The fourth stage is depression. This one has gotten me the worst. Except it doesn’t really seem fair to call it depression to me. I have dealt with depression. True, deep, clinical depression and this wasn’t it. This was hurt, loss, hopelessness, lack of energy or enthusiasm, and a desire to do nothing but sleep and cry. But it wasn’t the same as depression. At least not for me. This stage is the one I still struggle with the most. It’s the one that wakes me in the night to stare me in the face, it’s the one that makes it hard to swallow sometimes, and its the one that can make me cry for absolutely no reason while I am stuck in traffic in the middle of the afternoon. The final stage is acceptance. Each time I cycle through all the stages there is a deeper and deeper acceptance of what is. This is the stage where I believe the most healing takes place. It’s the stage that allows a little rest. As I was thinking about these stages and about my reactions to them I realized that whenever I have a true, deep and I would even say perfect understanding of an issue related to one of these stages I get to skip that stage. For example, I had a dear friend who died years ago. She was old, she wanted to go, she had lived a good life, and she had many people on the other side she was looking forward to seeing. I experienced grief when she died but only a couple of steps. I experienced Depression and Acceptance. I did not experience, denial, anger, or bargaining. I believe that the reason why was because I knew it was time, I knew it needed to happen, I could see it coming, I knew she wanted it. I knew it was the way it should be. I knew it was perfectly right. And because of that there was no need to experience anger, denial or bargaining. That’s what led to my epiphany. As I grow through each situation and gain a deeper understanding my experience with grief is different. It doesn’t change the situation. It changes me so that my response to the situation is different. And I thought about God. I thought about his all-knowing, perfect understanding and perfect love of us, of the world, of eternity and I thought He is our father, his heart functions in much the same way that ours does only his is perfect and with that perfection comes answers that we just don’t have. So I think when God watched his son die for us, or watched suffering throughout the world, when he saw my dear friend lose several children, when he saw grief beyond what we can comprehend I think it is not that he doesn’t feel those things but that he feels them perfectly and with that perfect understanding each of those stages dissolves leaving only absolute truth behind. 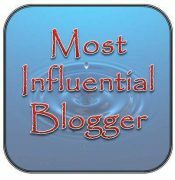 This entry was posted in Inspiration, Relationships and tagged Aceptance, Anger, Bargaining, Denial, Depression, Hope, The Five stages of grief.